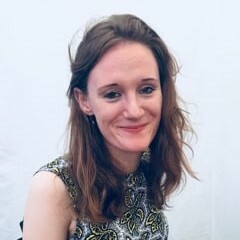 Rebecca Lowe is director of FREER, a new political initiative promoting economically and socially liberal ideas, based at the Institute of Economic Affairs, where she is also a Research Fellow. She is a columnist and assistant editor at ConservativeHome, and has written for numerous other publications including Prospect Magazine, The Spectator, the Daily Telegraph, The Times, and Newsweek Europe. She has worked for various political research organisations, as a political consultant, a parliamentary researcher, and in the arts and education sectors. Until late 2017, she was State and Society Fellow and Convenor of the Research Group on Political Thought at Policy Exchange. She has published on topics including UK and international politics, freedom, income and wealth distribution, equality and need, work, and issues of constitution and governance; she is currently working on a paper on localism and Brexit, with a focus on fiscal decentralisation.